At this time of year, students are leaping into the air with their exam results. Forty years ago to the day, a spotty, be-feathered upper sixth form student in Wiltshire was about to embark on a life-changing 9 months. The following account appeared in the magazine Agenda recently – here it’s dedicated to all those students making wrong decisions, wishing them the possibility of recovering from them. August and as I walked from the red-roofed, Wiltshire house where I’d lived most of my 18 years, I had a vision of a child, a baby staring up at me, waiting to be lifted. It lasted only a few seconds but I returned to the house happier and resolved that I could not turn my back on such an opportunity. I’d applied to study Medicine for reasons I cannot now recover and may not have been clear at the time. I’d had a series of interviews during the Upper Sixth year but only rejections had come back though I was held on a short list at Guys in London. But I’d already been struggling to focus on Biology, Chemistry and Physics, preferring to pick up the blonde, resonant body of my guitar and play Neil Young, Bowie, Lindisfarne, Don Maclean’s American Pie. I had written a few poems but from an almost complete ignorance of poetry. Shakespeare and Chaucer at O-level really was about it. My models were exclusively song lyrics which I listened to intensely, following them on the lyric sheets inside the unfolding gates of album covers. 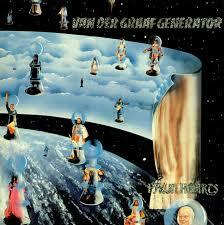 My head was unhelpfully full of phrases from Van der Graaf Generator’s Peter Hammill and Jon Anderson of Yes – one a merchant of genuine, existential, gothic angst, the other a lyrical fantasist. Then Guys rang to offer me a reserve place to start in ten days time. Then came the vision of the child. Because of the lateness of the arrangements in getting to London, I lodged in a room in Eltham Park and commuted into London Bridge. The city I’d been parachuted into was in the midst of the Provisional IRA bombing campaign. The medical school worked us hard though I never found it easy, or easy to devote myself to it. Within a week or so, we filed into the long upper room overlooking the inner quad. The windows down one side were filled with pallid light, a cloud-light flooding in from the London morning. We had watched a film which included queasy moments of blades easing through human skin though even as I watched, it struck me as less informative, more likely to be readying us for the shock of encountering our first lifeless body. His head was to the pale light of the morning. His feet were dry and yellowy and up-turned from the horizontal table where he lay. Though he’d once been human, he hardly seemed to be any longer. His skin was tough and thick-seeming, exactly like leather. The mound of a belly rose and fell to his groin dusted with greying pubic hair, a shrivelled prick and half-hidden balls. His legs ran on, thin and bony at the knee down to the up-turned toes. We all avoided looking at his face. I wish I could remember who made the first cut. One of us must have done: into the leathery skin above the sternum. The blade needed pressing firmly and the upper layers peeled open a bit like a zip fastener, down towards the abdomen. We did not give him a name though we turned up to visit him every week for the rest of term. But then, he wasn’t ours alone. As we gradually opened up thorax and abdomen, arms and legs, students in the year above us were coming at other times and we’d arrive to find his skull opened, his cheeks slipping down his face, his eyes suddenly gaping and exposed to the light that greyed and wizened as the winter term progressed. By November, I’d already bolted back to Wiltshire a couple of times and instead of medical text books, I’d started reading Hardy, Lawrence and H.E. Bates. In a poignant reminder of happier times, the school asked me to choose my books for a prize-giving at Christmas. On a trip to Bath, I bought Graham Greene’s The End of the Affair, Leonard Cohen’s Beautiful Losers and Lawrence’s England, My England. 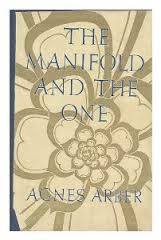 In Trowbridge, I scoured the second-hand bookshelves of Newbury’s, a bric-a-brac shop long since demolished and one morning I found a copy of George Eliot’s Silas Marner and a book called The Manifold and the One by Agnes Arber. I knew nothing of the latter but must have been attracted to the philosophical sounding title. In my growing tribulations at Guys, I was becoming deep. The questions I seemed to ask myself more and more had no easy answers and I had a notion this was called philosophy. The Arber book was a wide-ranging and syncretic survey, drawing on literary, scientific, religious, mystical and philosophical traditions, in pursuit of the experience which Arber defines as “that direct and unmediated contemplation which is characterised by a peculiarly intense awareness of a Whole as the Unity of all things”. Amidst the dissections, test tubes, bunsens, the red- and blue-dyed lung trees and chemical equations with which I uneasily engaged back in Southwark, I found consolation in Arber’s idea that life is an imperfect struggle. In those winter months, failing to work hard enough or get a firm footing in the bewildering city, I did not read passages about the “inevitable appearance of the awry and the fragmentary which we isolate in our minds” in a very philosophical fashion. Rather this was my daily diet, strap-hanging on a delayed train into London Bridge, sneaking into emergency exits to catch the second half of Diana Rigg in Pygmalion on St Martin’s Lane, trudging up a drizzly Charing Cross Road to buy sheet music I could not afford, drinking with others in The Bunch of Grapes on St Thomas Street, complaining how much work I had yet to do. Already letters to old school friends were raising the prospect of leaving medical school. When Arber wrote of the limited and artificial confinement of conventional thought (“a hard and fast orthodox system of logical regulations – many of which resemble the rules of a complicated game and have little concern with the attainment of truth”) I felt she was talking of my current studies. I had developed an attraction to the esoteric – it made me feel more justifiably the outsider that I felt myself to be – and I got untold pleasure from hearing that masters of Zen Buddhism might declare to my lecturers, “Supreme Enlightenment goes beyond the narrow range of intellection – Cease from measuring heaven with a tiny piece of reed”. But work piled up rapidly in the new term and after renewed attempts to devote myself to it, still the old patterns of neglect and procrastination returned. Even though there were months left before I managed to act on my desire to leave Guys, to beat a retreat from the big city, to set a new and more deliberate course, still the length of remembered time now seems short. After Lawrence’s Apocalypse and Sartre’s The Age of Reason, I raced through Cohen’s Beautiful Losers, bewildered by its episodic narrative, its explicit sexuality. It was Arber’s utterly different book that haunted me. One evening, staring out at Eltham, I wrote: “Down in the street / the puddles turn to raging light / night-time folds away the day / packing up the sun. Turning / through the broken stars, over, under / the chosen Far, making for homeward”. I listened to Radio Caroline in the evenings when I’d managed – not always and increasingly less often – a couple of hours of legitimate work. Then travelling blearily east from London Bridge, I forgot to grab my briefcase before stepping down onto the platform. It was a self-inflicted injury but had little real influence on the string of failures I achieved in the final exams. On another day – this was my nineteenth birthday – Margaret Thatcher defeated Ted Heath for the Conservative leadership. One day – it was a Friday – a train from Drayton Park failed to stop at Moorgate, overshooting the platform into a dead-end tunnel at 8.46 in the morning. 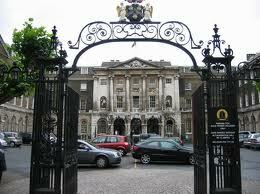 As I walked gloomily from London Bridge through the black, wrought-iron gates of Guys, forty-three people were killed. One morning three months later, I found myself sitting in the room in Crookston Road, the noise of the busy A2 a distant growling. I stared at my packed bags and felt calm if utterly becalmed. One day, months later again – this was now the end of a second strangely untethered summer – the thought had begun to form that I might see myself as a student of philosophy, maybe work harder at the writing.